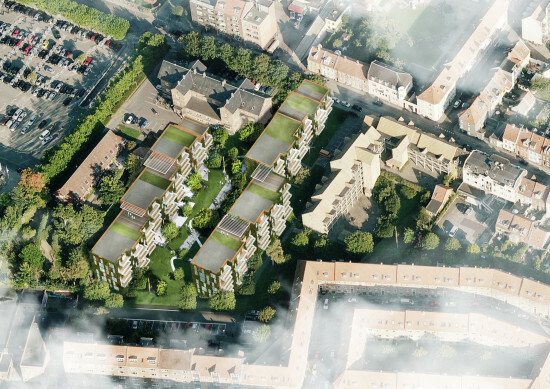 Last week, Scandinavian firm Schmidt Hammer Lassen Architects announced another win. The firm will design a new residential development, Valdemars Have, in the heart of Aarhus, the second largest city in Denmark. “Resting on a sloping terrain in a tranquil location within walking distance of Aarhus’ major cultural attractions, Valdemars Have will become a prime location for those seeking an oasis of calm within the bustling city,” says the firm. 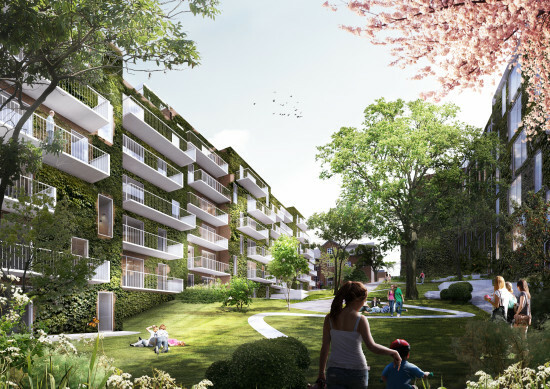 The development will contain 106 apartments, ranging from 2-bedroom apartments to large penthouses with private roof terraces. According to Schmidt Hammer Lassen, the buildings modernly interpret traditional, red brick townhouses, by playfully arranging the masonry and balconies. The brick, will vary from light red to nearly black, in order to blend with the older context. The development is broken down into two east-west buildings, six levels each. Along the neighboring street, Valdemarsgade, the development lowers to four levels to meet the surrounding condition. 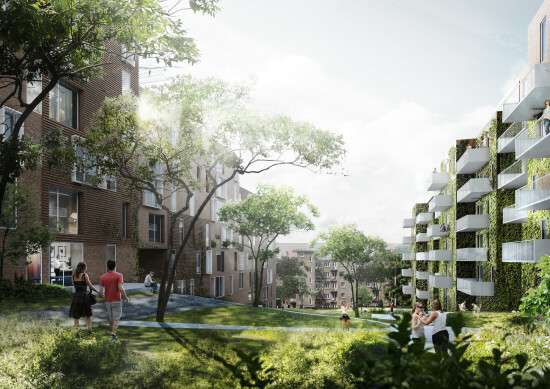 According to the firm, the development’s organization ensures optimal daylight from all directions, and the north side promenades, which will replace the existing paths, ensure the public will feel welcomed to explore the garden-like development.